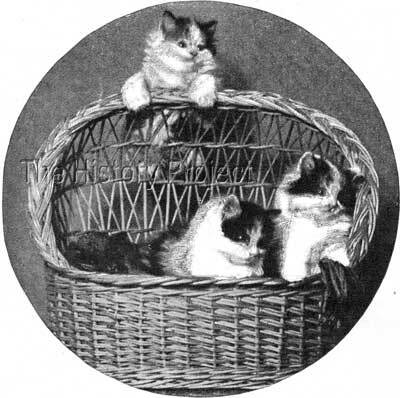 If you were to ask any competent judge as to what they like to see most in a cat benched under their jurisprudence, they are likely to comment on four main facets, health, type, temperament and presentation. But nothing pleases a judge more, than to be presented with a cat that not only 'looks great' and conforms to its own standard, but which clearly enjoys being shown. This makes it easy for the judge to show the cat off to observers, allowing the cat, to advertise itself to the public, so that they in turn, can judge for themselves, that a happy, well-kept pedigreed show cat can also enjoy a life as an appreciated and much-loved pet! 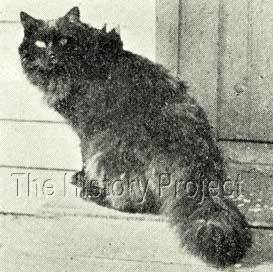 "King Max, a longhaired black male, weighing thirteen pounds at the age of one year, and valued at one thousand dollars, took first prizes in Boston in January 1897, '98, and '99. He is owned by Mrs. E.R. Taylor, of Medford, Mass., and attracts constant attention during shows. "His fur is without a single white hair and is finger deep; his ruff encircles his head like a great aureole. He is not only one of the most beautiful cats I have ever seen, but one of the best-natured; as his reputation for beauty spreads among the visitors at the show, everybody wants to see him, and he has no chance at all for naps. 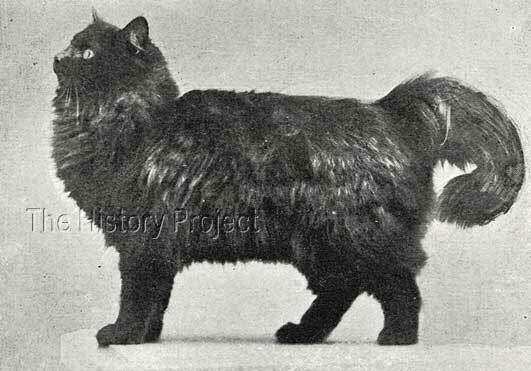 One full sibling can be found, and this is a Black Smoke named 'Silverton', (BCC 263), born 1st July, 1897, as the result of a later repeat breeding. 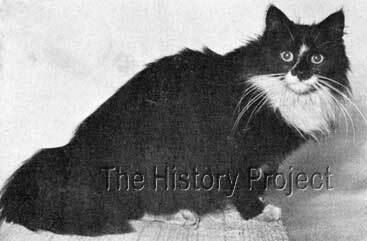 Once again, no breeder is listed, but the owner is recorded as Mrs. Florence Dyer of South Weymouth, Massachusetts. He is recorded as a 'Smoke' with green eyes. 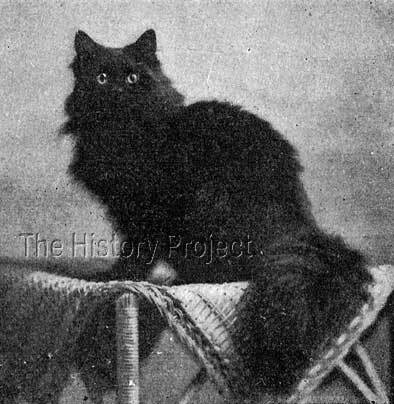 'King Max', the black Persian owned by Mrs. Edgar R. Taylor of Massachusetts. Renowned for is beauty, both within and without. For three consecutive years, 'King Max' caused a sensation at the Boston Show. What a delight it must have been each time to see a happy healthy cat exhibited, presented in tip top condition, and who very clearly enjoyed all the attention he received. No doubt his very amiable personality would have helped to popularise the Persian breed in his day, while setting a memorable example for exhibits and exhibitors of the future to follow. by 'Rufus' and out of Max's daughter, 'Dorothy'. 'King Max' caused a sensation at the Boston Show, for three consecutive years. What a delight it must have been each time to see a happy healthy cat exhibited, presented in tip top condition, and who very clearly enjoyed all the attention he received. No doubt his very amiable personality would have helped to popularise the Persian breed in his day, while setting a memorable example for exhibits and exhibitors of the future to follow.